Suk-Jun Kim’s music mainly focuses on the sense of places that are fantastic, imaginary, magical, and realistic, in which listeners can visit, stop by, and dwell. Having won several international composition awards and attracted commissions, Kim’s music has been performed worldwide and can be heard on ICMC, IMEB, and SEAMUS labels, and M&R. His research focuses on acousmatic reasoning, imaginal listening, phenomenological approaches to the aesthetics of electroacoustic music, space and place, platial memory and sound, and magical realism in electroacoustic music among others. Kim’s interest in platial memory and sound has also led him to expand his medium to installations. He recently had his first solo exhibition in Berlin, Germany. 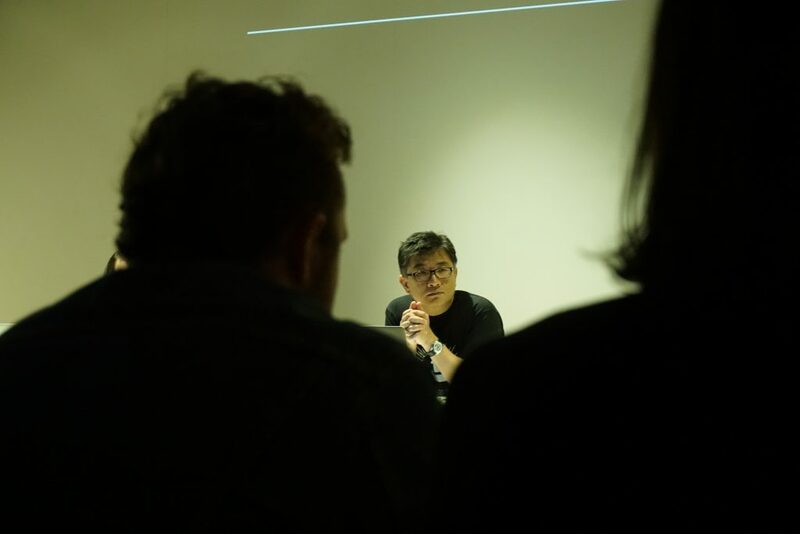 Suk-Jun Kim studied theology at Yonsei university, South Korea and Recording Engineering at OIART (Ontario Institute of Audio and Recording Technology). He earned a master’s degree in Music Technology in Northwestern University and a Ph.D. in composition at the University of Florida. In 2009, Kim was invited to Berlin by DAAD for its Artists-in-Berlin programme, and now is senior lecturer in Electroacoustic Music and Sound Art at the University of Aberdeen, Scotland. Kim’s current research themes include Acoustic Ecology of Communities and Cities Labscapes—the Sound of Science and Epistemology of Hearing in Knowledge-producing and Knowledge-disseminating Spaces/Places, and Humming. Kim is currently writing a book on Humming, which is to be published by Bloomsbury.